Cambria photographer Debbie Markham is an experienced professional photographer, specializing in family, wedding and real estate photography. Her work is charming, emotional, captivating and polished. Gracious and enthusiastic about every event, she passionately observes and beautifully documents the energy of your event or photo shoot as they unfold through her unique eye. Her easy-going (yet also type-A) personality, and fluid, natural style make it easy for her to capture the essence of her subjects. Ideally located on California’s Central Coast near Hearst Castle she is available for travel in Northern or Southern California. Being an extrovert, she thrives on different personalities and enjoys relating to even the most rambunctious toddler or serious father-in-law. 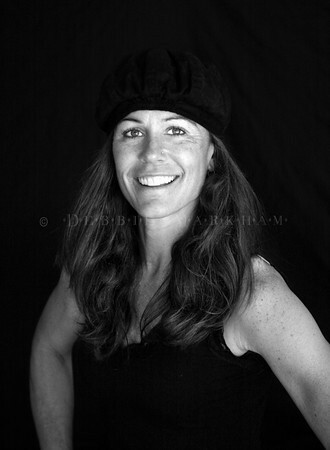 With her extensive experience and energetic passion for the art of photography, even the "photo-averse" are guaranteed to be comfortable during the process and love the results. She specializes in documentary style (photo-journalistic) photography of special events and interactive, spontaneous, fun family sessions. Website design and hosting, commercial photography, covering corporate events, professional head shots and in-studio product shots are also within her repertoire. A Cambria resident since 1993, she is mom to one spunky artistic girl and one sports fanatic boy, and has an evolving passion for all forms of art. She's an avid motorcycle rider, swimmer, biker, cross-country runner and world traveler. Ask her about getting enlargements on unique surfaces like Metal, Wood, Sturdy Foam Board or Canvas!